While I may not be able to tell you what the best margarita is. What I can do is explain what a Perfect Margarita should taste like and what ingredients should be used. My only hope is that you can make a better informed decision the next time you choose to satisfy your margarita cravings. Let start things of by getting ourselves situated with the anatomy of the margarita and then we can go into details later. 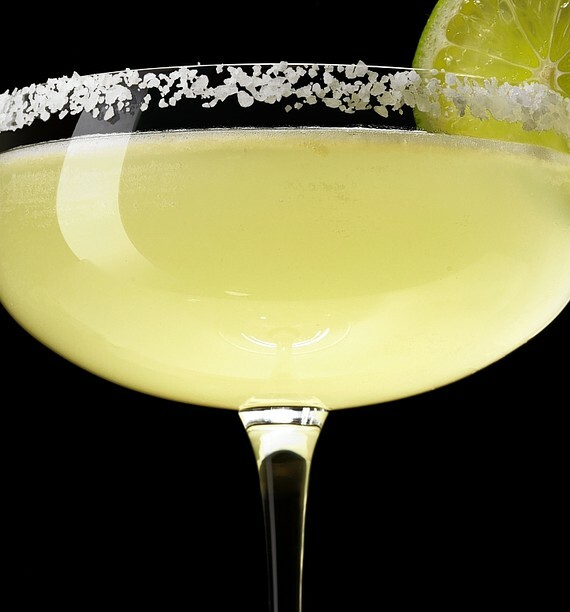 A margarita is a hybrid between a cocktail and martini. It is not officially a cocktail due to its high alcohol content, which is why it is normally served in a smaller sized glass versus other mixed drinks. It is also not a martini because it is normally served over ice, although it is not unusual to see one served straight up in a martini glass. A margarita is made up of three ingredients, although there is an exception to this rule. The Tequila - Made from the Blue Agave Plant, Tequila makes up the body of the margarita and which tequila you choose will weigh heavily in the overall taste of the drink. Some even may use Mezcal, a relative of tequila, in their margarita but I will better explain why it should not be used in making a perfect margarita in the next part of this series. The Orange - The second part of a margarita is the orange liquor. Although this is typically Triple Sec, many choose to substitute an orange liquor with a more distinct flavor and higher alcohol by volume such as Grand Marnier or Cointreau. The Lime - The last and only non-alcoholic part of a margarita is The Lime. This is normally some type of lime juice, mix, or blend. There is only one choice when it comes to the perfect margarita, and I will explain why in part 3 of this series. Now go have a shot and try to soak it all in. Stay tuned for the next part of this series my thirsty followers.